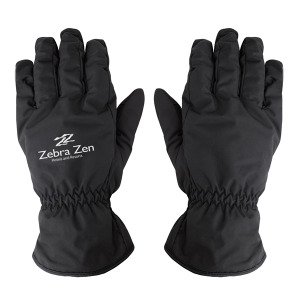 Start a spectacular promo with these water-resistant, insulated adult gloves! 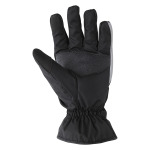 They're made of 100% polyester with goose down lining, are one size fits most, and come in black. Features include two touch fingers (thumb and index finger) for use on a touchscreen device, a textured palm grip, elastic wrist, and a reflective stripe accent. 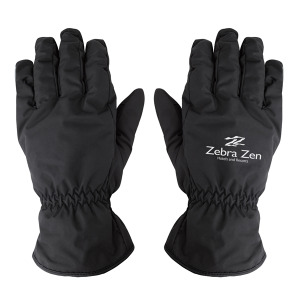 Add your company name or logo to these and sell them alongside winter wear to get the most attention for your brand! 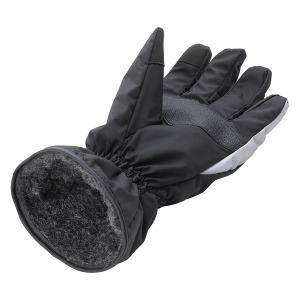 I'm interested in learning about the Insulated Water-Resistant Adult Gloves. Please contact me.